Cypress Police arrest suspects after robbery and attempted murder. On December 22, at approximately 2:57 a.m., the Cypress Police Department responded to a report of a shooting in the area of 4300 Lincoln Avenue. Responding officers found the victim, an adult male, lying in the parking lot of a small business complex. The victim had been shot multiple times in the upper body, however was breathing and responsive. The suspect, later identified as Christopher Livingston, a 36 year-old from Glendora (CA), had already fled the scene in a vehicle prior to the officers’ arrival. The victim told officers the suspect attempted to rob him before shooting him with a small caliber hunting style rifle. The victim was transported to an area hospital with gunshot wounds and his injuries do not appear to be life threatening. Responding officers checked the surrounding area and located the suspect vehicle, occupied by Mr. Livingston and a female adult, who was identified as Cynthia Guevara, a 41 year-old female from Hawaiian Gardens, in the area of Carson Street and Bloomfield Street, in the City of Hawaiian Gardens. The officers attempted a high-risk vehicle stop due to the serious nature of the reported crime. During the stop, Mr. Livingston fled the vehicle on foot but was quickly apprehended by responding officers. 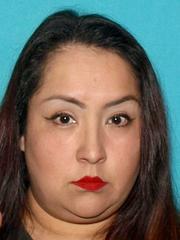 Ms. Guevara, who was the driver of the vehicle and remained in the car, was also arrested. A rifle, similar to the one used in the shooting, was also located in the suspect’s vehicle. Mr. Livingston was booked at the Orange County Jail for attempted murder, attempted robbery, and other charges. Ms. Guevara was booked at the Cypress City Jail for evading the police while driving a motor vehicle. Despite the arrest, the Cypress Police Department is continuing its investigation into the crime. Anyone with information on the shooting is encouraged to call Detective Cassie Miller at (714) 229-6631. 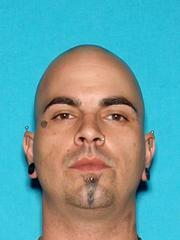 Media inquires should be directed to Sergeant Robert Cote at (714) 229-6624.